Homeowners often want to make many improvements to their home. It is after all where they live and spend most of their time. 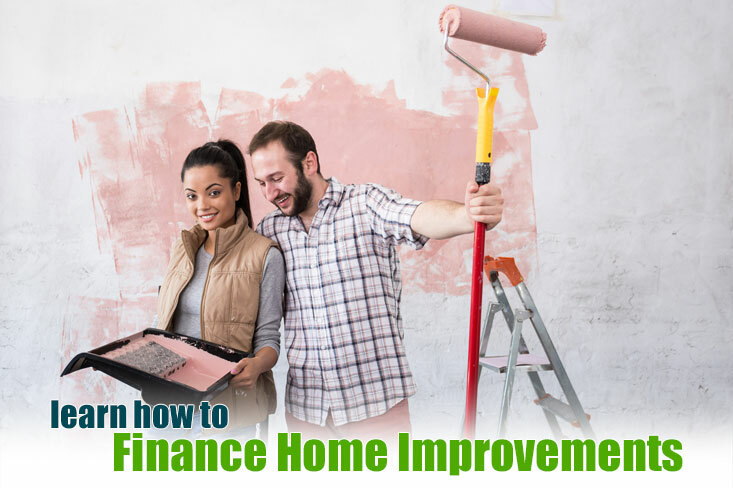 Homeowners also want to renovate their home to add value to it before they put it on the market and a construction loan and a home equity credit line are two popular finance vehicles. It is very critical to find banks, lenders or brokers that extend niche products that help consumers best finance home construction. Compare the HELOC to the Construction Loan to Finance Home Remodeling, Rehabilitation, Fix and Flip and More. What are they and what are the advantages and disadvantages of each? The loan amount is usually not equal to what the construction cost is. It is usually lower by 2-8%. The construction process must be planned out on a strict schedule. You as the borrower, the lender and contractor will work on several ‘draws’, which are structured payments or installments that are released as the work is being done. Your loan repayment is done over 3-5 years in most cases, and the interest rate can be fixed or variable. If you get a fixed rate, you are charged a flat interest rate from the time of the first draw. The home and land are collateral for the loan. If you are going to get a construction loan to do your renovations, many experts advise that you get a loan from a larger bank or financial institution. This will allow you to get a better interest rate. Experts also advise that you go for a fixed interest rate so that you know exactly what you will be paying and for how long. 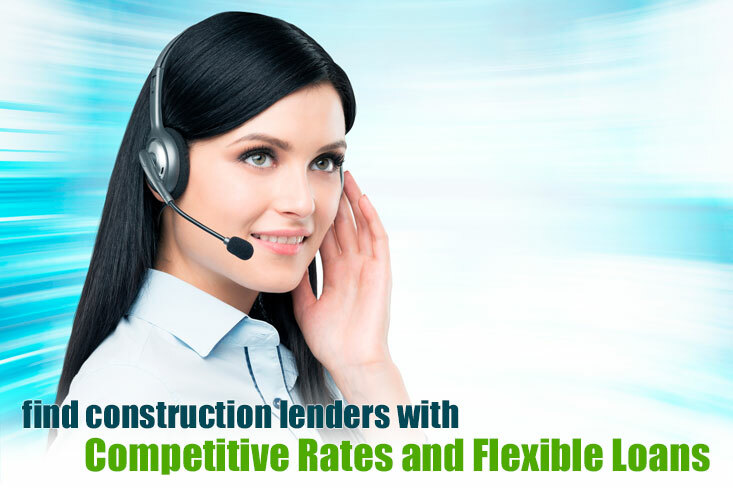 Check current construction loan rates. The loan is granted according to the amount of equity you have in your home. You can usually borrow up to 80-90% of your home equity. For example, if you have a mortgage of $400,000 and the home is now worth $480,000, you should be able to get a home equity loan of $70,000 from many lenders. A home equity loan has a fixed interest rate and the repayment is over the life of the home loan, which could be 15 or 30 years for most people. This type of loan is known as a second-mortgage, which means that if you fail to pay, the lender can foreclose and work with the primary lien holder. Or the lender can sell the home. Also, the lender can wait until the bankruptcy has concluded and sell the home. The major types are the home equity loan and the home equity line of credit, also called a HELOC). The equity loan option provides you with one lump sum of equity to fund your home improvements, while the HELOC provides you with a line of credit that you can tap as you need it for your home improvements. Talk to mortgage lenders and banks that have experience with HELOCs and home construction loans. It depends upon your circumstances. Getting a construction or home improvement loan allows you to do home improvements but it is on a set schedule and the money is disbursed by the lender as certain milestones are met. Also, the construction loan is of a limited duration, with a loan period of three to five years being most common. This will increase the amount of your monthly payments. But on the up side, your interest rate is usually fixed and you will result in paying less interest over time given the short duration of the loan. For doing home improvements, there is little doubt that a home equity loan or home equity line of credit is the most popular. A loan based upon your home’s equity provides you with a low interest rate, but it will be a bit higher than your first mortgage interest rate. 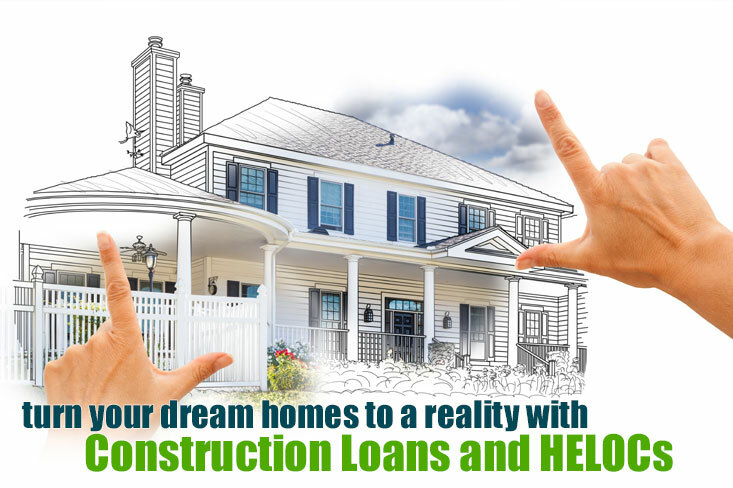 If you choose to get a HELOC construction line, you will pay interest only payments for the first five or 10 years of the loan, and then the interest rate will jump as you start to make principle payments as well. A home equity loan has a fixed rate. Whether you get a HELOC, an equity loan or a cash back refinance, you will pay the loan over many years, which will reduce your monthly payments. However, you will need to pay much more in interest than a construction or home improvement loan. Check the current HELOC rates from national finance companies. Congress passed a tax reform bill that eliminates the ability for homeowners to get a tax deduction for a home equity loan in 2018, so it’s important that you consider the pros and cons of a construction loan versus a home equity loan before signing documents. When you get a home loan to build your home, the lender does not have a home as collateral during construction. That is why qualifying for a construction loan can be more difficult. The construction lender needs to see details about the size of the home, the materials that were used and the contractors that are doing the work. Your general contractor should be able to provide all of the information needed to satisfy the lender. The lender needs also to know that you will be able to afford the monthly loan payments as your home is built. If the lender thinks that you are not able to pay your current mortgage or rent while the home is being built, you won’t get the construction loan. You also need to have plenty of savings to get your construction loan. Construction finance companies know that unexpected costs occur during the building process. There will nearly always be a cost overrun of some type that you don’t know about in advance. Lenders do not want you to empty your savings account to pay for cost overruns. Cost overruns also can occur during building if the borrower changes their mind about something once the home is being constructed. Next, do your research on your builder. You should find a builder who has experience building the home you want as far as price, style and size. You should examine the credentials of the builder. Get references from past clients. See if there have been any complaints lodged with the builder. The construction loan lender will also review the quality of the builder, their credit and finances, to ensure that they can follow through with construction. Also know that the lender will conduct regular inspections of the construction being done. During this stage of the process, the lender will pay your contractor in draws. Usually, an inspector or appraiser will show up on the job site to be sure that the construction plan is proceeding as expected. Building your own home is what many people dream about. You get to choose exactly how the home is laid out and the amenities it will feature. But to get through the home building process, it is very important to have all of your finances in order so that you can get a competitive construction loan. Make sure you have done all of your due diligence so that you can get your dream home built on schedule. The timing is great for borrowers seeking credit lines and loans for home construction. 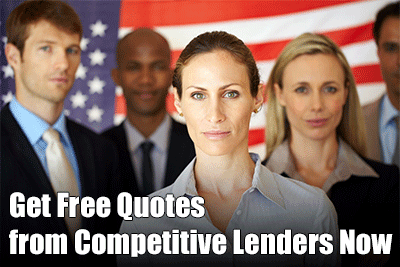 Rates are great and lending standards are easier than past years. When you take out a home equity line of credit to build your house, the mortgage lender uses your residence as collateral the second the HELOC closes escrow. That means that if you do not make your credit line payment, the bank has the right to begin the foreclose process, even if your construction is not completed. Granted the HELOC is in second position on title, so if you are paying your first mortgage on time, it becomes less likely the bank or lender will come after you. However, legally they have every right to foreclose on your home if you are not making your HELOC payment as agreed. The qualifying process for a HELOC is typically less strenuous than a construction loan, but in most instances you will need some equity to be approved for a home equity line of credit. The loan to value is determined by adding your existing first mortgage and the proposed credit line amount together and then dividing that sum total by the estimated value on your home. Here is a major difference between the equity line of credit versus most construction loans and that is the HELOC lender will consider the present value before construction, and the construction lender will consider the estimated future value of the home after the construction is completed. The credit score requirements on home equity lines will be similar to fixed second mortgage loans and conventional first mortgage programs. Most HELOC lenders will want 700 ficos, but some niche 2nd mortgage lenders will accept credit scores between 620 and 680 if you have some equity and a low debt to income ratio. Suprime and hard-money lenders will be approve HELOCs for people in 500 to 620 score range, but you will need more available equity, (AKA lower CLTV) than traditional mortgage companies will allow. Most people who want to fund home improvements choose to tap their home equity with an interest only HELOC or home equity loan with a fixed rate. The facts that the interest rate is low and you can pay the loan over 10+ years means that it simply costs you less in monthly payments each month. Of course, you are paying more interest than with a construction loan. It often comes down to how much you can afford to pay each month, and how much interest you are comfortable paying over the life of your loan or HELOC. Both of these home construction loan products can work for your house improvement needs. We suggest discussing your goals with home construction lenders so can best determine which works better for you depending upon your current finances.